Communications minister Surendra Karki briefs the media on the decisions made by the cabinet meeting at Singha Durbar on Monday. The cabinet decided to hold local election in a single phase on May 14. The cabinet meeting today decided to hold local-level poll in a single phase across the country on Sunday, May 14. The government has also decided to release necessary budget to the Election Commission. KATHMANDU, Feb 21: With the government deciding to hold local elections on May 14, the country is now set to witness a local polls after a hiatus of 20 years. A cabinet meeting held on Monday evening at the prime minister's official residence in Baluwatar decided to hold the local level poll across the country in a single phase amid opposition from the agitating Madhes-based political parties. “The cabinet meeting today decided to hold local-level poll in a single phase across the country on Sunday, May 14. The government has also decided to release necessary budget to the Election Commission,” Minister for Physical Infrastructure and Transport Ramesh Lekhak told Republica. Along with the announcement of the poll date, the cabinet meeting decided to release Rs 10.29 billion to the EC to make necessary preparations for the poll. 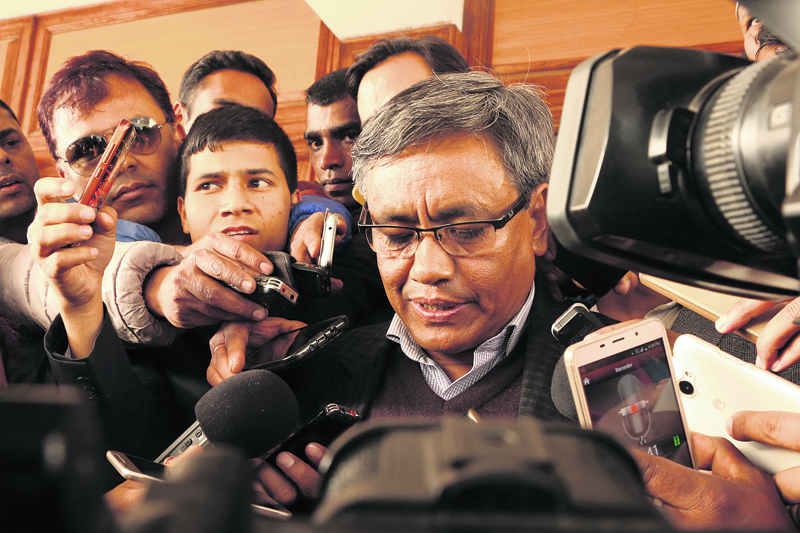 The EC during its meetings with Prime Minister Pushpa Kamal Dahal had earlier requested the government to release over Rs 10 billion for logistical preparations for the poll. Prime Minister Dahal had held three separate meetings on Monday before taking a formal decision to announce the poll date in the evening. 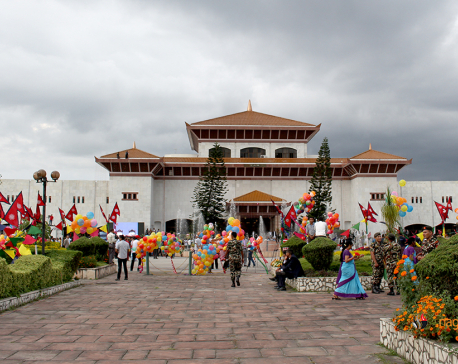 While the first cabinet meeting in the morning decided to expedite constitution amendment bill and gave additional seven days to the taskforce formed earlier to review the local units delineation report submitted by the local level restructuring commission (LLRC), the cabinet meeting held in the evening had formally announced the date for holding the local level poll. The cabinet meeting held in the afternoon had decided to recommend names for ambassadors to various 14 countries as the announcment of the poll date would bar the government to make any key appointments. The government's decision to expedite the constitution amendment bill, which is currently in parliament, and to give additional seven days to the taskforce to review LLRC report was apparently aimed at appeasing the agitating Madhes-based parties. The LLRC has proposed a total 719 local units under the federal setup. The Madhes-based parties have demanded that the number be increased proportionate to the number of population in Province 2. The last local election with five-year mandate was held in 1997. There is a vacuum at the local level after the then Prime Minister Sher Bahadur Deuba was unable to hold the periodic local elections in 2002 and decided not to extend the term of the local bodies. Although King Gyanendra, who took over executive power in February 1, 2005, tried to hold municipal polls in February, 2006, his efforts proved unsuccessful as major parties boycotted the poll and instead expedited their campaign against King Gyanendra's rule. The agitating Madhes-based parties, which are demanding amendments to the constitution, have announced Madhes-centric protests as the government declared to hold local elections on May 14. A meeting of the top leaders of the agitating United Democratic Madhesi Front (UDMF) held at the office of Tarai Madhes Democratic Party's central office on Monday evening decided to hold a torch rally at major thoroughfares and market places across the Madhes districts on Tuesday, enforce a Madhes shutdown on Wednesday and organize 'exposure campaign' against the government for the next 15 days starting Wednesday. "We have termed the government's move as unfortunate and announced protest programs against it. We will hold a torch rally on Tuesday. We have called a general strike in Madhes district for Wednesday," said Manish Suman, the general secretary of the Sadbhavana Party. "We will also launch a special campaign to expose the government's move for the next 15 days," he added. 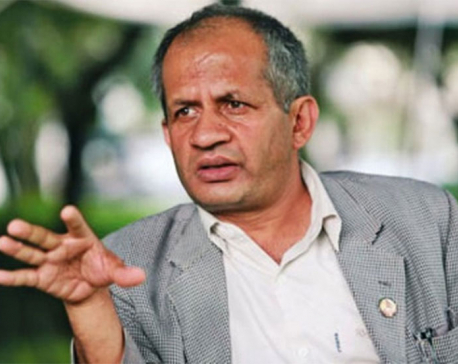 The Madhes-based parties, which voted to form the present government, had been demanding that the government first complete the constitution amendment process prior to announcing poll date. Although the government through the cabinet meeting on Monday, decided to take ahead the constitution amendment bill, the agitating Madhes-based parties are still not satisfied with the move.